Even in the modern business world, face-to-face networking is key to meeting new potential customers and winning new business. 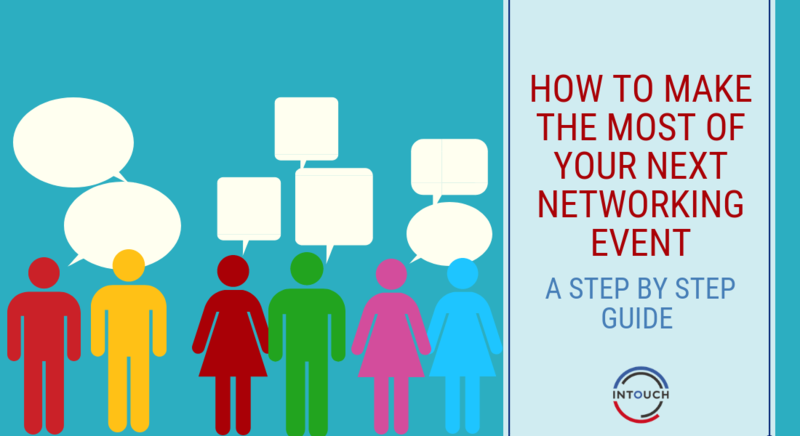 In this post, we share 7 steps to make the most of your next networking event. Preparation is key to any meeting and networking is no different. So, a couple of weeks before the event, start preparing. Firstly, ensure your business cards are up to date with the correct information and make sure you have enough to go around. If you don’t, now is the time to order some more- don’t leave it until the last minute! Next, do your research on the attendees. Make a note of the people you’d particularly like to engage with- those who are relevant to your industry and who you think could benefit from your product or service. Finally, prepare your pitch so that when you’re asked what you do, you know exactly what to say. You might think ‘I know exactly what I do, why would I need to prepare a pitch?’ but being on the spot, it’s easy to miss out vital information and you only have around 30 seconds to impress it’s important to get it right. Keep practicing it and refining it until you’re happy. Using your CRM system, create an email to send to the prospects you meet at the event to thank them for their time. This only needs to be short and sweet but it’s a great way of reaffirming your new business relationships. Save this in your system for when you’re ready to use it. Share details of the event with your network- the more prospects that attend the event, the better. If you don’t have a goal in mind, there’s a danger that you won’t achieve anything. Ensure that you set yourself a goal that you can control and is measurable. For example, talk to 10 people, collect 5 business cards or give out 10 business cards. On the day, take yourself out of your comfort zone- don’t stand at the edge of the group and wait for people to approach you. Put yourself out there and introduce yourself to as many people as you can but also remember to have in-depth conversations with people- it’s best to have just 5 in-depth conversations than 20 brief conversations as this won’t help you build lasting relationships! Make sure you’re present in conversations- DON’T be checking your phone when talking with someone or looking over their shoulder, scouting for the next person to talk to. Be present, listen to what they are saying and take it in. On the other hand, don’t get caught talking to the same person for too long- there’s lots of people in the room and that means plenty of opportunities to sell yourself so work the whole room. Once the event is over, enter all the details of the prospects you met at the event into your CRM system. It’s best to do this as soon as you can, whilst it’s fresh in your mind. Record any details about the prospect themselves- what industry are they in? What’s the name of their company? What problems did you identify? How do you think you can help them? Adding details like this to their contact record will help you with future conversations but this is information you’re likely to forget further down the line so recording it is key! Finally, follow up! Using the follow up email you created before the event, send your prospects a quick thank you just to touch base, the day after the event. From here, you can engage with them further and continue to get to know more about them.